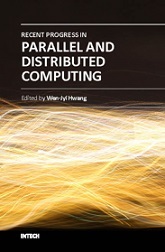 Parallel and distributed computing has been one of the most active areas of research in recent years. The techniques involved have found significant applications in areas as diverse as engineering, management, natural sciences, and social sciences. This book reports state-of-the-art topics and advances in this emerging field. Completely up-to-date, aspects it examines include the following: 1) Social networks; 2) Smart grids; 3) Graphic processing unit computation; 4) Distributed software development tools; 5) Analytic hierarchy process and the analytic network process. Wen-Jyi Hwang received the MSECE and PhD degrees from the University of Massachusetts Amherst, Amherst, MA, USA, in 1990 and 1993, respectively. From September 1993 to January 2003, he was with the Department of Electrical Engineering, Chung Yuan Christian University, Taiwan.